Plumb Trees is one of the top most tree trimming service providers in Sydney. 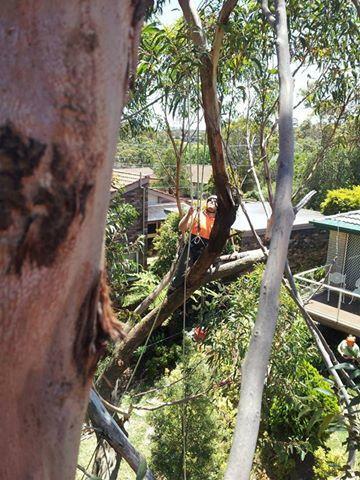 We are a team of tree care specialists in Sydney providing professional , honest and reliable tree care solutions. We have 20 years of experience in the tree care industry and can ensure that you would receive a professional service at budget friendly cost. Plumb Trees in Sydney is equipped with an extensive range of advanced machinery and technologies applicable in several aspects of vegetation management as well as tree cutting. Our upgraded machineries will help in reducing the cost and leads to increase the quality of tree trimming services in Sydney. When our experts are planning to remove a tree, we suggest our customers to remove the tree along with the stump because the tree stump takes long time to rot. Though some of the customers choose to use chemical stump remover to speed up the decay, the organic one is the best one. If you are not willing to use stump removal service, then we are at your door to provide best service within your budget. Safety is one of our greatest concerns so we prepare safe work methods and conduct risk assessments prior to keep your property safe. Plumb Trees along with tree trimming services also provides tree lopping Sydney, tree pruning Sydney and arborist service in Sydney at affordable prices and our staff will also assist you how to manage your trees grow in a healthy state and also provides tree care reports in Sydney. This services are conducted on grown-up trees which has scope to improve its growth. It needs to happens for a tree which has overly extended limbs that are too close to a home or to any other structures that might cause damage. Some trees might have weak crotches or heavy branches that are supposed to be a risk factor for your cars or other goods of your property. In such cases, this service is necessary to restore safety on your property. It is also beneficial for the health of the tree and is usually includes the removal of dead wood from the tree so that, it will not affect the healthy wood and allows the tree to heal by itself. A trimming is also necessary to minimize general splitting, which is generally caused by heavy wind and storms. Most of the tree trimming Sydney is concerned with aesthetic reasons to give a neat and pleasant look to the tree and leads in improving your property’s value as well. In some cases a tree trimming is required when the limbs are rubbing against each other or the trimming is done to allow more light to your house. Your trees will look best and your property will be safe in a short time and at an affordable cost.Just contact us today at 0434 043 100 or mail us at info@plumbtrees.com.au for further details or queries.